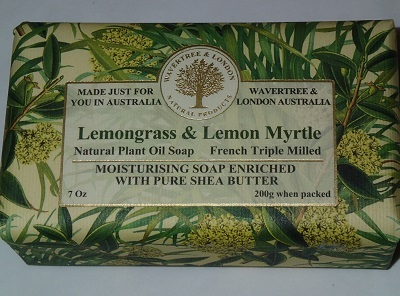 Beautifully fragranced wrapped soap bar - Lemongrass and Lemon Myrtle. Made in Australia. Not tested on animals, no petro-chemicals, soldium lauryl sulphate, animal fats or propylene glycol.